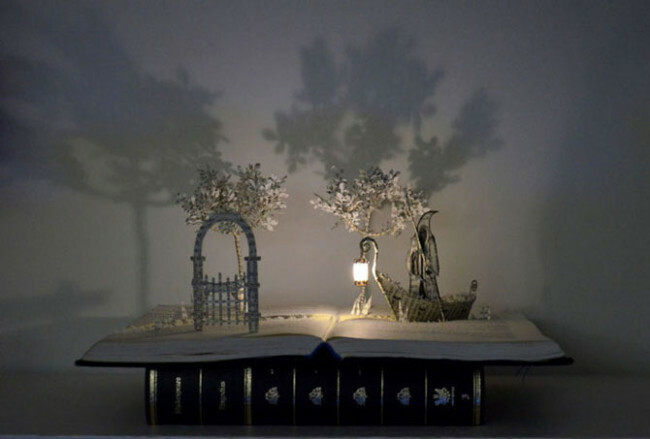 Old and heavy books look a little mystical and, even without knowing what information is hidden under the cover, it seems that in any case the reader expects a store of wisdom and a source of incredible imagination. 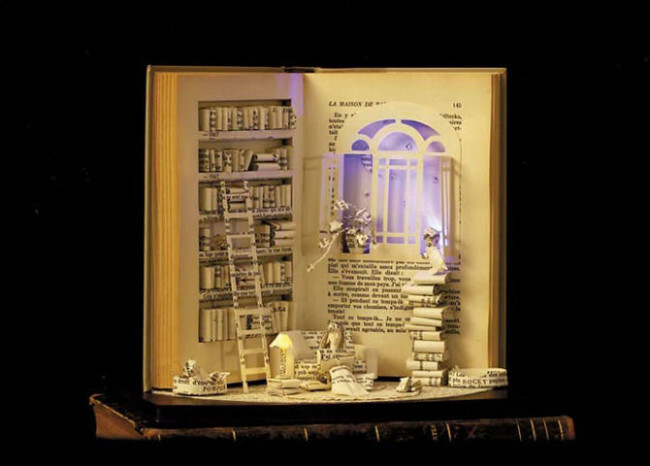 This time, when you take a hard fact, covered with dust, from the shelf and open the first page, and there is real magic. 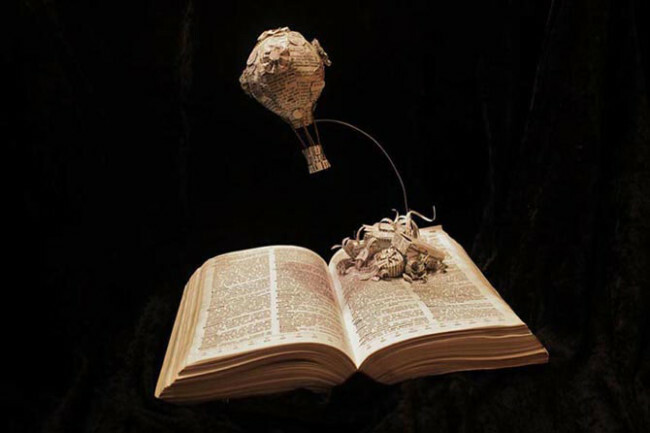 At this point, anything is possible. 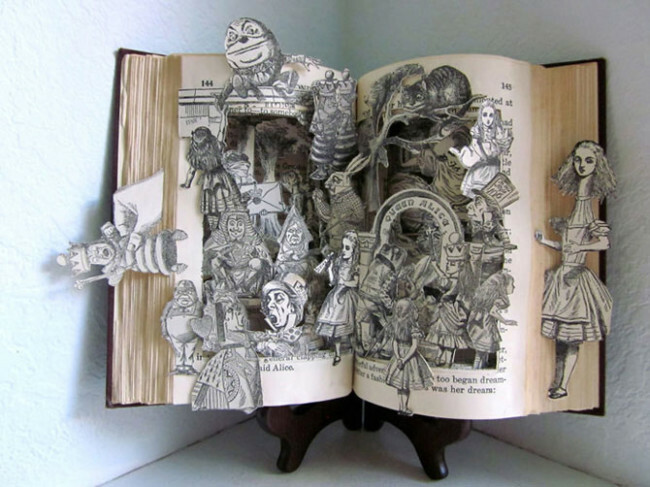 Nevertheless, for creative people of the book – it’s not just words and information. 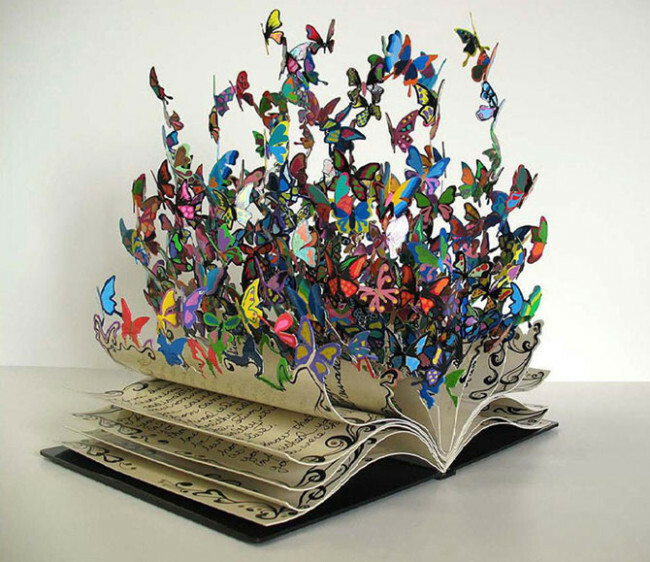 In their hands, the book can turn into something completely different and become unrecognisable, but in a new way beautiful. 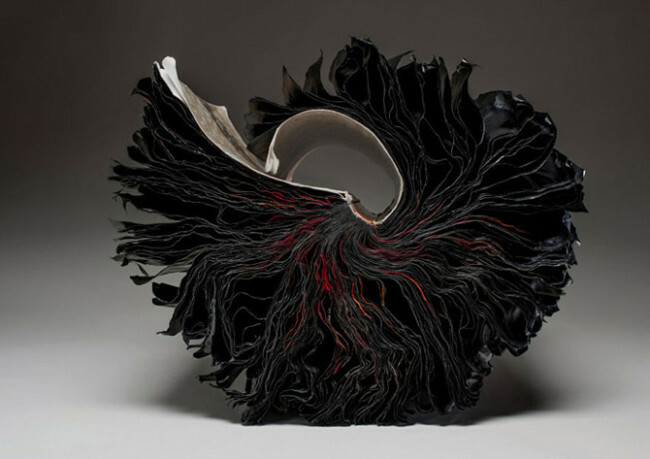 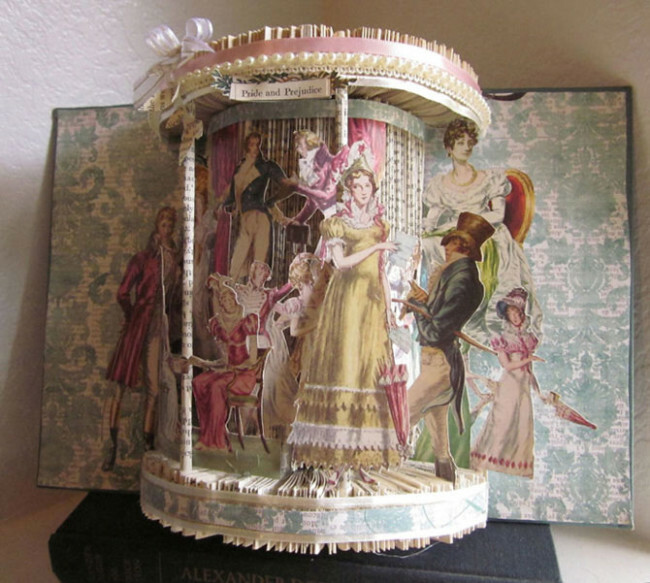 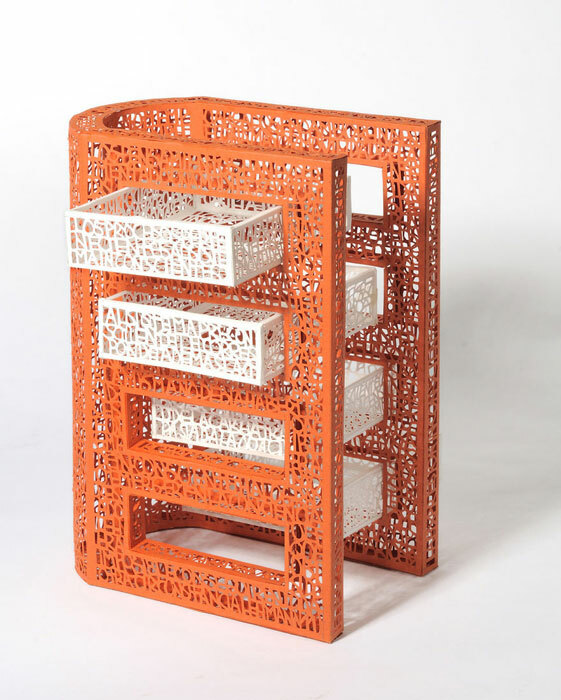 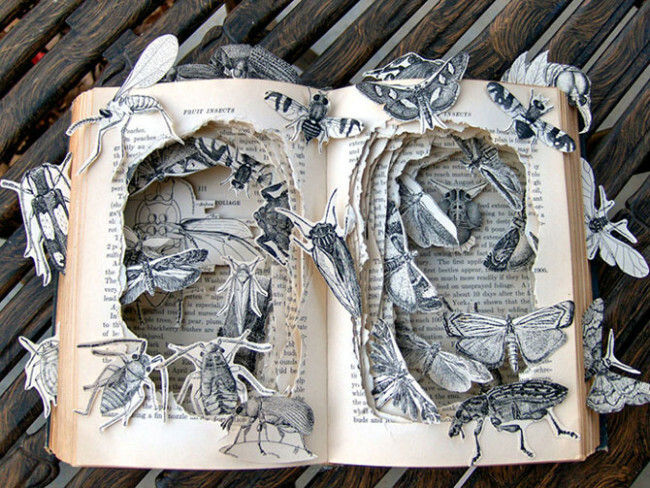 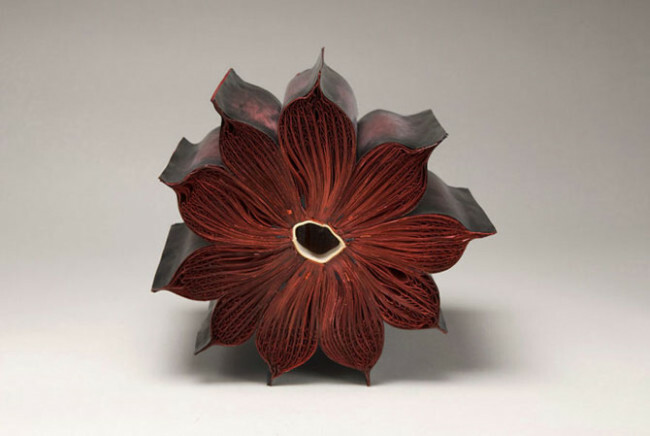 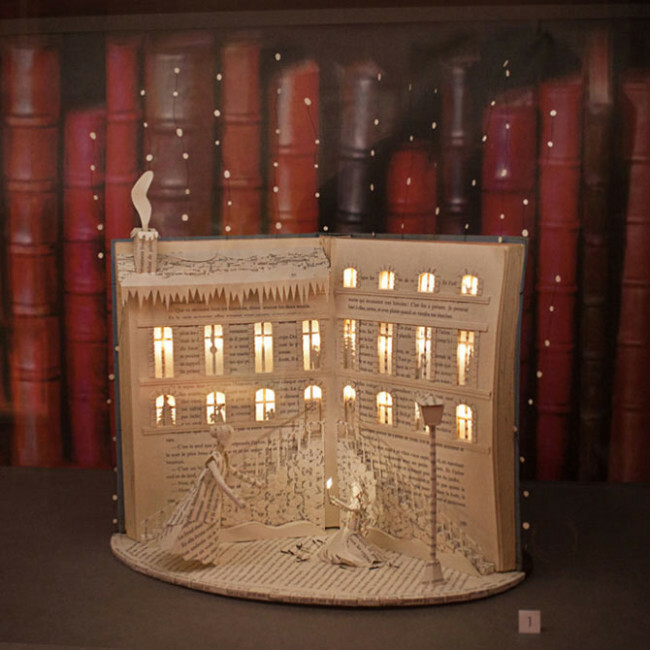 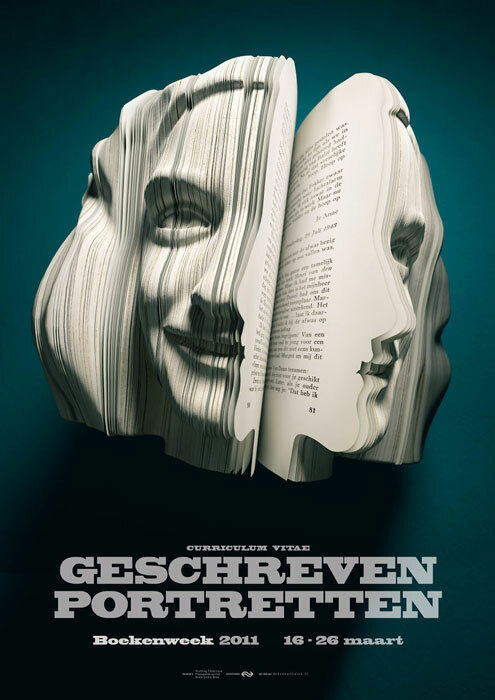 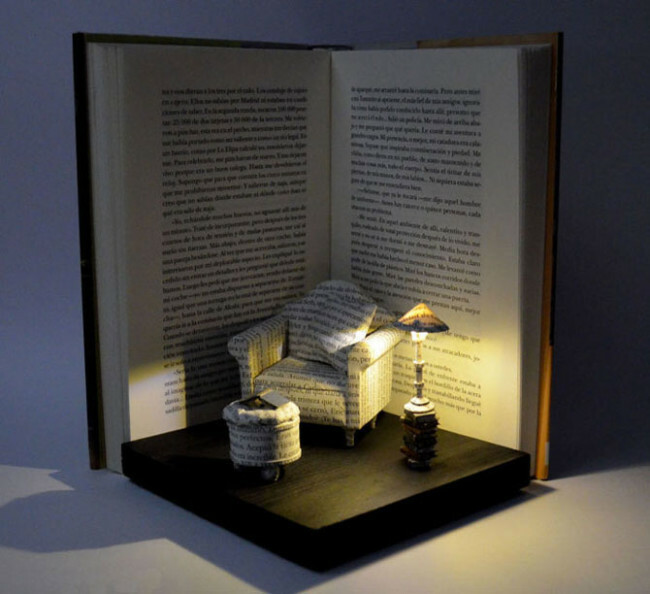 In this review we present the 25 most beautiful sculptures made from books. 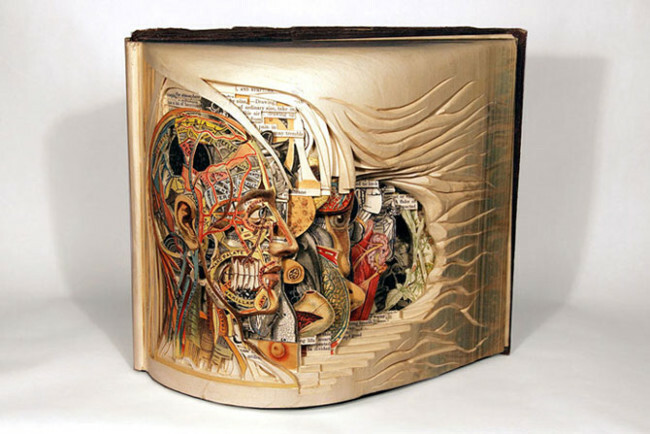 Carving on the books by Guy Laramie. 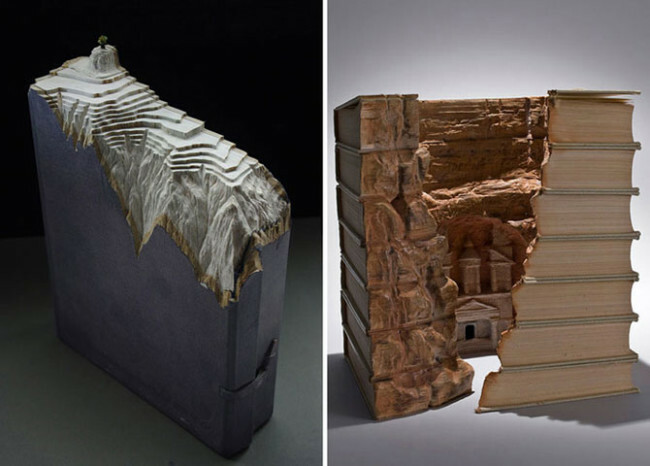 Guy Laramie – Canadian composer, writer and artist who creates from old books unusual sculptures.Inside the book he carves landscapes, temples and monasteries, mountains, gardens, sometimes using several volumes of paper glued together. 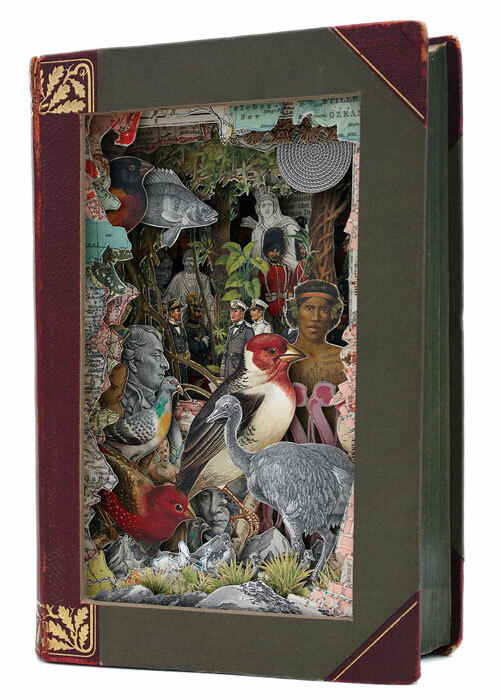 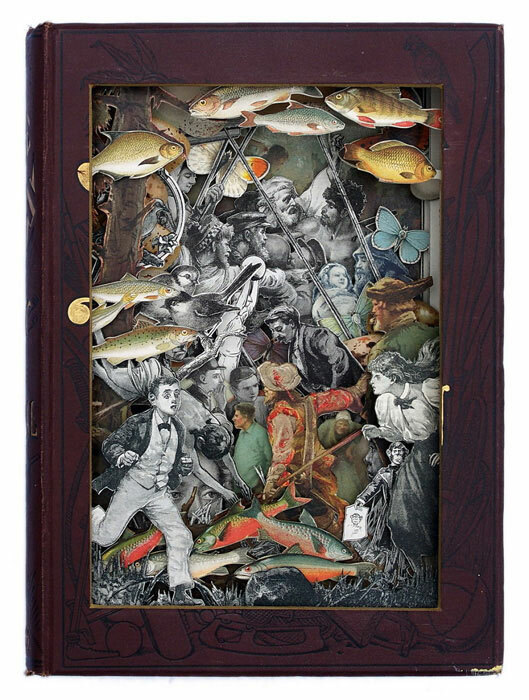 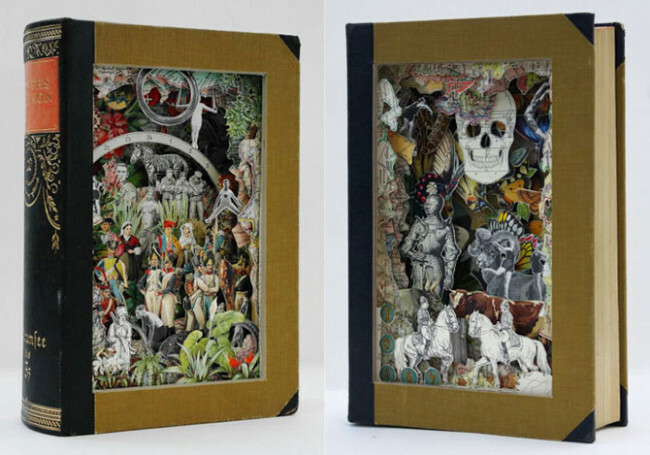 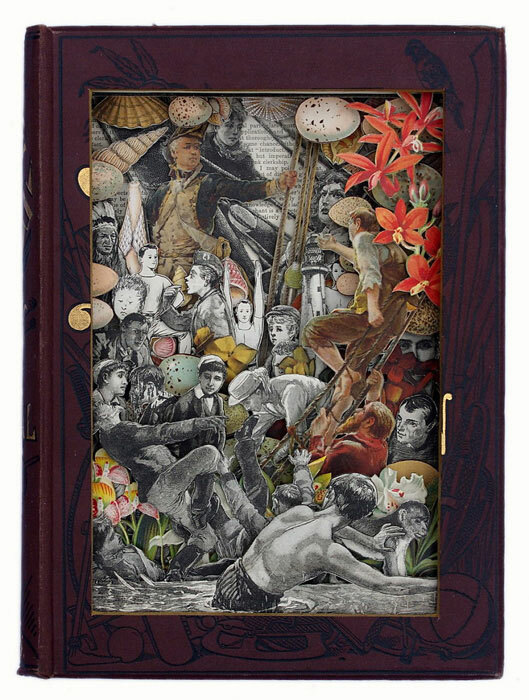 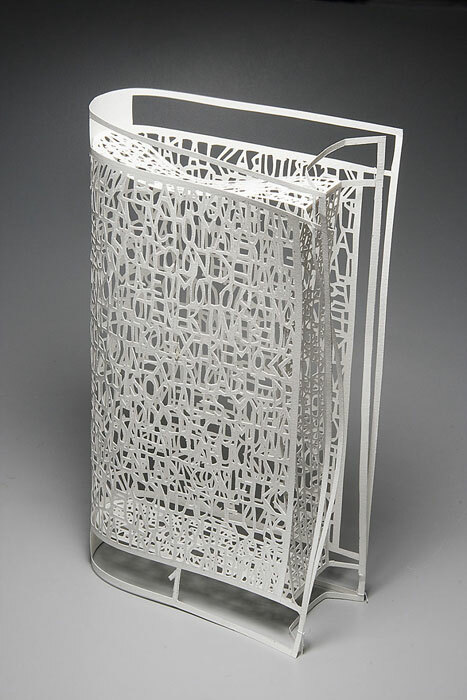 Brian Dettmer calls himself a surgeon book, because with tweezers, knife and scalpel artist turns encyclopedias and atlases in a work of art. 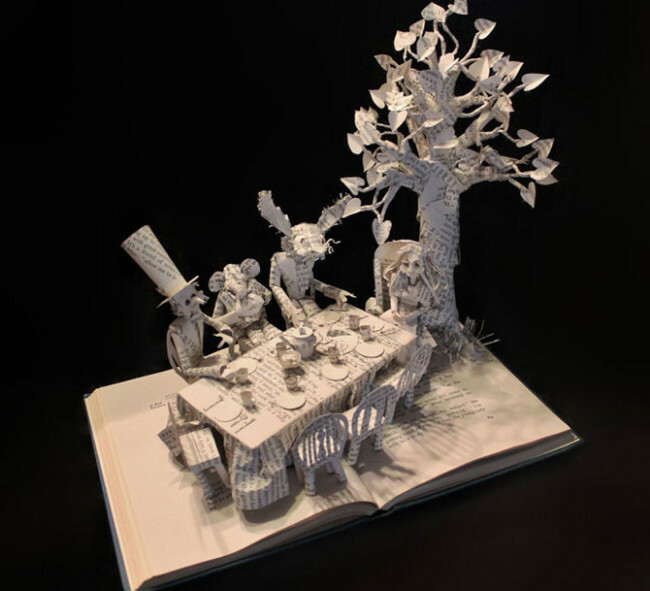 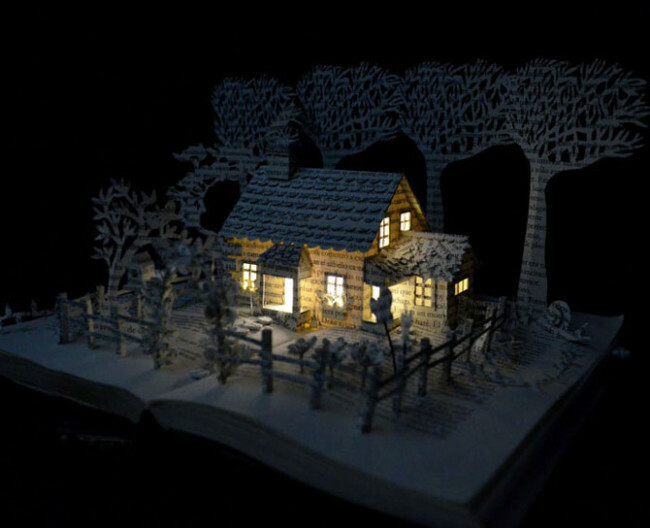 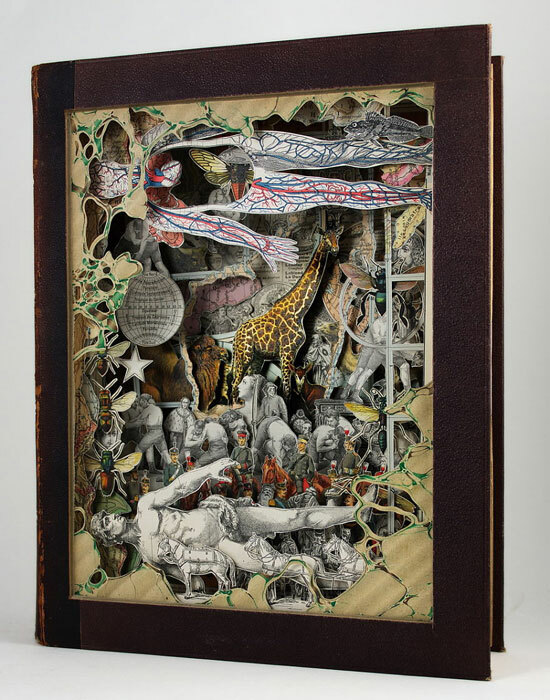 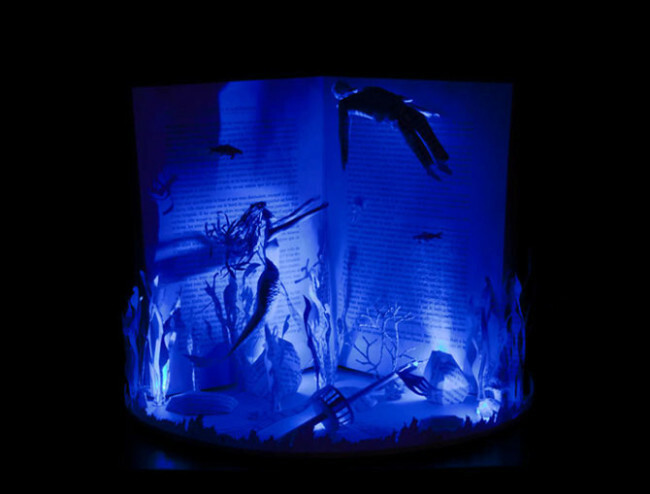 He carefully cut pieces of paper, twisting the pages and illustrations, so that in the end an ordinary book turns into an intricate sculpture, as if turned inside out.